Here is our next installment in the feature Hired Librarians, where I interview a successful candidate and the librarian that hired her. 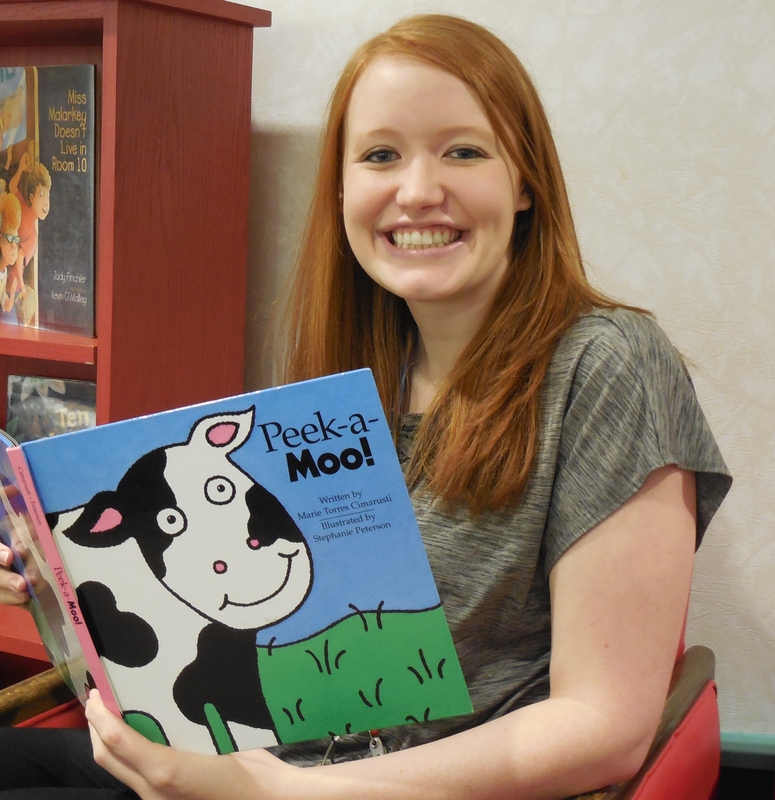 This post features Recent Hire, Youth Librarian Brooke Rasche, and Hiring Librarian Marge Loch-Wouters, who is the Youth Services Coordinator at La Crosse Public Library and a regular contributor to Further Questions. 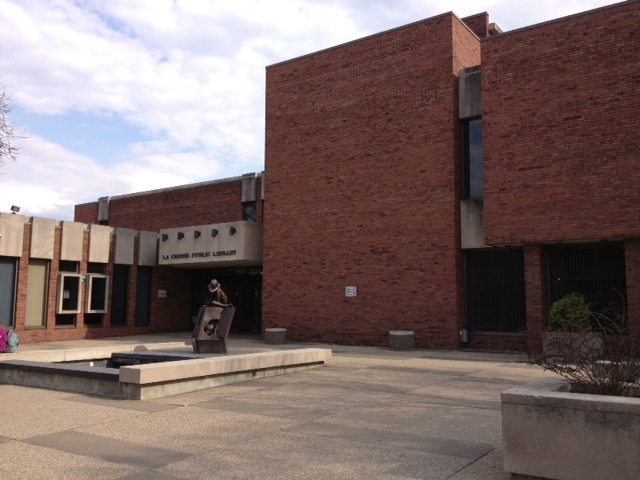 La Crosse Public Library is in the Midwest, and has 85 staff members. I am still very new to the library world. I graduated in 2011 from Indiana University. I had a job offer before I completed my degree and moved to Virginia right after I graduated. 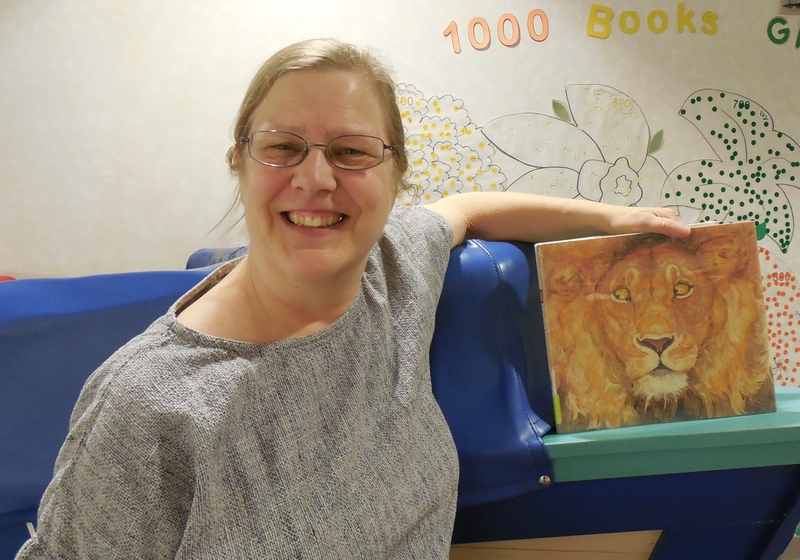 I worked as a Children’s Librarian for about 10 months before I was promoted to Children’s Coordinator for the library system. Then, I applied and was chosen for this job in early 2013. I was very homesick and really wanted relocate back to the Midwest. However, I also wanted to make sure that I was going into a library where I really fit and I didn’t just apply for everything out there. I wanted to find a library that shared my vision and passions for youth services. This job fit every aspect I was looking for. Then were both one page. When I was in graduate school I took the “apply to everything” approach. While this worked in my favor and I found a job, I didn’t want to make the same mistake twice. I looked at information about the city and the surrounding area. I made sure I could afford to live in the city with the salary they were offering. I checked the library website and looked at every department’s page. I also went through probably years of blog posts on both Marge’s blog and another coworker’s blog Sarah Bryce. Librarians are very honest in their blogs and I wanted to make sure I had a good feel for the work culture before I threw my hat in the ring. I wore a black skirt suit and heels. I would always prefer to be overdressed than under, so I was happy with my decision. The interview process was a long one– about 3 months from start to finish. So I was very invested in getting this job by the time the in-person interview happened. I was also traveling over 1000 miles on my dime, so I wanted to give myself the best possible chance I could. I went through Marge’s blog and read as much as I could about the library and her philosophies. It was also a great opportunity for me to find out things that really mattered to Marge as a manager and as a youth services advocate. I also went though Sara Bryce’s blog and found out about all of the programs that were being done for school age children. I wanted to make sure I went into the interview with knowledge about the programming being offered for all ages. Then, I made a portfolio that highlighted some of my previous library work. I also included 4 sample programs I thought would be successful with their service population. Since I was only going to be in front of the hiring committee for an hour, I wanted to make sure they left with a strong sense of who I was and what I wanted to do. I asked questions about the community and library culture. I also asked “What is your favorite thing about this library? What is the most challenging thing about working in this library?” This question is one of the easiest ways to find out how the hiring committee really feels about their job. I think it was my passion and overall flexibility. I was willing to move 1,000 miles and told them specific reasons why. I am very open to change and new experiences and I think it really came through in my interview. Plus, I am a very outgoing person. I know it is hard for people who are more introverted, but you have to be as outgoing as possible in your interview, especially if you are looking to work with children. The hiring committee is looking for someone to represent their specific department and the library as a whole, so you need to prove that you are going to be a good choice for them. Do some research before you apply to every library job you see. Five minutes of googling the library/area could save you an hour of applying for a job you wouldn’t take anyway. Also, if you are applying for a job that would require you to move- acknowledge it in the cover letter! I have moved over 1,000 miles for both of my professional jobs. I believe I made it past the initial review round because I specifically stated in the cover letter that I was looking to relocate to their area. Brooke highlighted information that specifically related to our posting; she answered the playfulness of our ad with playfulness in her response and her cover letter didn’t repeat what was in the resume but rather added depth and clarity to that document. She also explained why she would be willing to move halfway across the country to work for us. Brooke hit every qualification. In addition to that, she brought some strength in other areas that indicated to me that she would be bringing us even more than we asked for in our ad. In comparison to the rest of the pool, did the applicant have more, less, or about the same years of experience? She had one year of experience. This put her slightly ahead of the new grads but we had people with more experience also throwing their hats in the ring. I would say her experience put her at the slightly “ less” end of the spectrum. After our initial closing date we had 76 applicants,. We selected the top 20 to choose two of three essay questions to answer. From that pool, we selected 10 finalists for a Skype interview. After that step we decided on our final four to invite in for an interview with our panel. At that interview, the candidate answered questions, and had a tour of the department. It took about three months. Brooke had researched the community; made a cogent case on why she would re-locate; blew us away with her command of the issues and knowledge about the service population; and laughed and talked easily. Since time with the public is such an important part of the job that really put her over the top. We had an extremely strong field of candidates. Brooke was able to “play’ in response to our playful ad and make the case that she had the experience we were looking for. She came to the interview prepared and articulate with a binder full of examples of her work that related to our job (and not just a collection of everything but just what was germane to our needs). What a great feature! Thank you for sharing. Seeing both sides of a successful hiring process gives me ideas and hope for my impending job search. I think a link to the original job advertisement, if available, would complement these interviews and round out the feature with the institution’s expectations. I’ll be back to read more. Thanks again! Great idea! I’ll ask if I can get the original ad. Thanks for posting the link to the original ad. I had a hard time imagining the playful tone you mentioned, but seeing the ad helped me understand. I hope I am lucky enough to come across an ad like yours when my time comes! I was so happy to read that the person hired was an Indiana University grad–and then I was even more delighted to discover that you ended up in La Crosse, Brooke! I’m a current library student at IU and I graduated from the University of Wisconsin-La Crosse in 2011. I lived about a block from the public library and spent time there often. Enjoy summer on the Mississippi for me! Thanks Brianna! Indiana University is a fabulous school with some really wonderful faculty, and Bloomington is a great town to live in. Enjoy your time in Bloomington for me!